Take your Medical Elective abroad with Projects Abroad and learn directly from doctors in real-world situations. You'll intern in medical facilities like hospitals and clinics, where you'll see diseases and conditions you've only read about in textbooks before. Whether you choose to take a Medicine, Nursing, or Physiotherapy Elective abroad, you'll get to explore a different country and learn how to adapt to new challenges. Working in a limited-resource environment will show you how doctors and nurses come up with creative solutions to medical problems. You can also expect to improve your communication skills, something critical for a career in medicine. Why do my Medical Elective abroad? 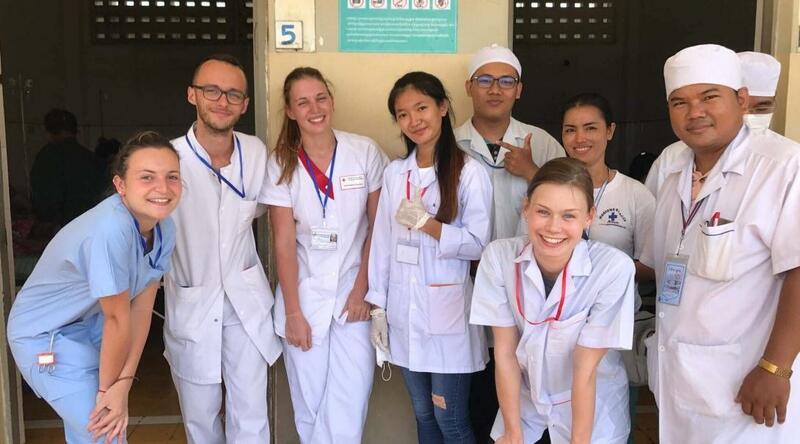 Doing a medical elective abroad is an opportunity for you to work in a real-world setting and discover what you’re capable of. We can help match you to the elective that best matches your interests and goals. You can observe neurosurgery first-hand at a world-class hospital in Shanghai, China. You can work a night shift with an ambulance team in Ulaanbaatar, Mongolia. Or, examine an x-ray with a doctor and walk through possible diagnoses at a Maasai community hospital in Tanzania, among others. It is important to note, however, that the level of hands-on work you’ll get is dependent on the placement and laws of the country you work in. You can specify which department you’d like to work in. Nursing students, for example, could specialise in adult or child nursing. Medical students can choose from a range of options, including A&E, Orthopaedics, and Obstetrics. Some students prefer to rotate around a number of different departments. If you’re doing a dental elective abroad, you can work in either a dental unit within a large hospital or a dedicated dental practice. You can let us know your preference when you book your trip. As a medical student, you’ll know that taking an elective is mandatory in most universities. We have a great deal of experience working with medical professionals. We know how to arrange a placement that meets your requirements and gives you a full and rewarding experience, wherever you choose to travel with us. We also provide 24/7 in-country support to make sure your time abroad runs as smoothly as possible. We arrange your accommodation, three meals a day, and insurance, as well as transport to and from your placement where necessary. You’ll be allocated an experienced medical supervisor at your placement, whether you’re working at a hospital, clinic, or a specialist practice. This supervisor will sign university paperwork as well. We’d be happy to talk about creating a custom Medical Elective for you. Most of our staff have been volunteers or interns themselves, so they’re well placed to answer your questions, big or small.